There is only one named species in this genus, which feeds on Tilia trees (linden). 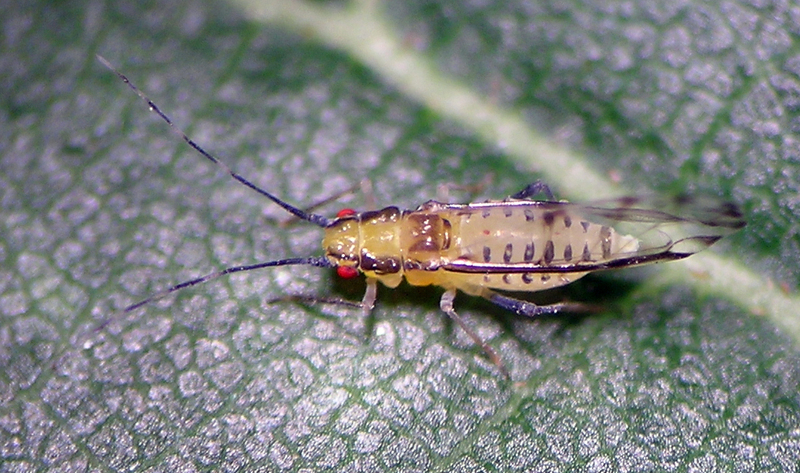 Like so many tree aphids, this species is another striking beauty. It was accidentally introduced to North America and is very common in many places on landscape and park trees. Eucallipterus tiliae alate vivipara from a landscape tree in eastern Oregon. 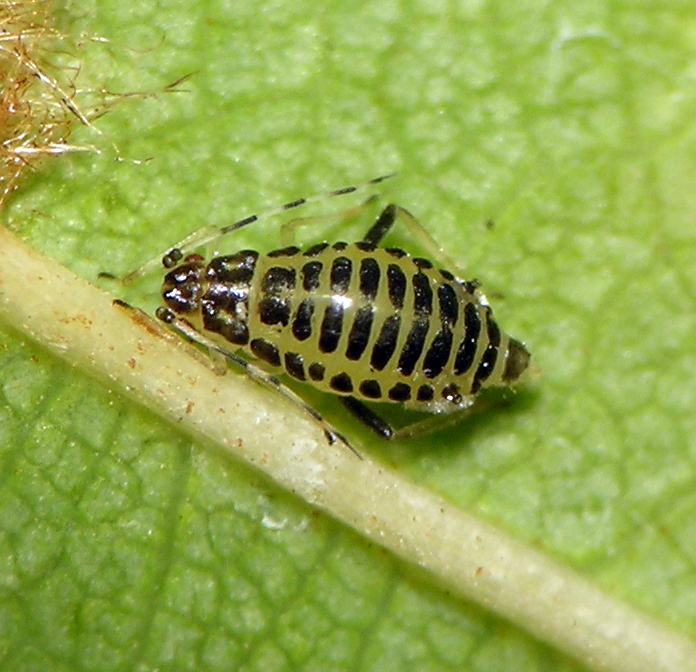 Eucalliperus tiliae ovipara on the WSU campus, Pullman, Washington.